This Double Arm Retractable Hose Reel is meant for the heaviest of uses and where the hose is being pulled harshly in different directions and at different angles. 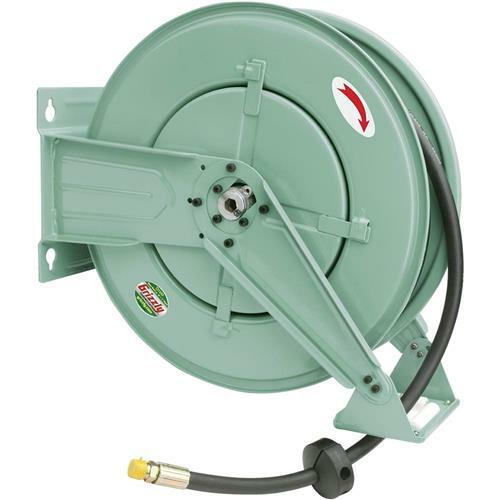 Includes 50' of heavy-duty air hose. The double arms can be repositioned at various angles. 3/8" NPT. Holds 3/8" hose. Maximum 250 PSI.